The weather is so gorgeous (it’s 74 degrees right now in Portland!) that I can’t resist the urge to be out and about. Jazz For A Saturday Night will return next week though. Here’s a flashback to a time “pre-Internet”, when life was simpler. 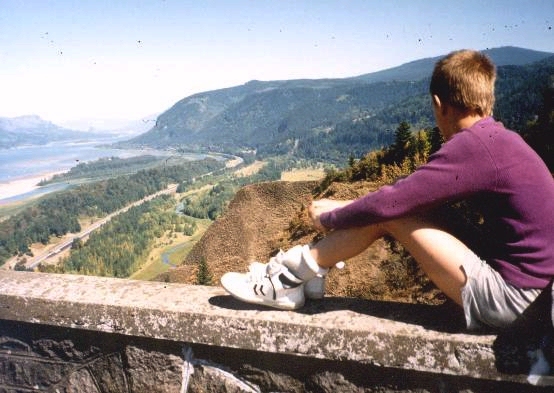 I have shot dozens of pictures of the Columbia River Gorge from this exact spot in the years that have gone by since I took this one. This remains one of my favorites. Travis Gilliam at Crown Point. Copyright (c) 1987 by Al Evans. All rights reserved.